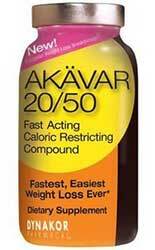 Akavar 20/50 is a diet pill produced in Salt Lake City by Dynakor. 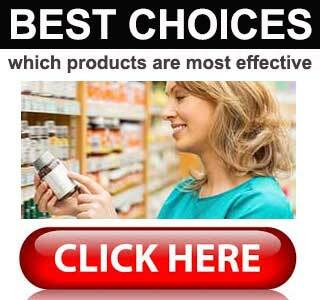 According to the official website, people who use the product can eat all they want and still lose weight. That’s sounds pretty enticing and the statement is printed in big, yellow letters so it is pretty hard to miss. The page also contains a disclaimer that states the Federal Trade Commission permits such a claim to be made if it is accompanied by an explanation that makes it clear the reason people can eat as much as they want is because they will no longer want to eat as much food as they used to do. Dynakor then admit this is how the formulation is designed to work, so it would appear Akavar 20/50 is an appetite suppressant. The Akävar-20/50 website contains very little information about the product, but much ado is made about an “all-you-can -eat buffet study” that was supposedly carried out at the University of Liverpool. The women who supplemented with Akavar 20/50 apparently ate significantly less than the women who were given a placebo, even though they were told they could eat as much as they wanted. It sounds reasonable enough, but Dynakor fails to provide a link to the study and we could find no trace of it anywhere online. The official website does not provide any information abut the contents of the capsules, but we managed to find a picture of the label posted elsewhere online. Magnesium (100mg): A mineral that is often associated with weight loss. 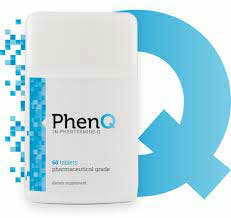 Vitamin B6 (25mg): An important vitamin that is necessary for many bodily functions. Vitamin B6 is often added to diet pills because it assists the metabolism of other nutrients. Caffeine: A stimulant that can suppress the appetite. Caffeine is not particularly powerful in this regard, but research shows it can be good for boosting the metabolism and encouraging fat burning. Yerba Mate: A holly-like shrub that is native to certain South American countries. Yerba mate’s main value is as a caffeine provider. Guarana: A fruit that contains caffeine, but releases it at a gradual rate that ensures longer-lasting benefits. Kola Nut: An extra dose of caffeine, this time courtesy of the fruit that put the “cola” in coca-cola. Green Tea: Scientific study proves green tea’s value as a fat burner, but its presence here also provides more caffeine to a blend that already contains several other sources. Not everyone tolerates caffeine well so this will make the blend unsuitable for some users. Black Tea: An ingredient that may have the ability to encourage weight loss, but black tea delivers yet another dose of caffeine. Damiana: A shrub derived ingredient that can be useful for treating constipation, but is not normally associated with weight loss. Ginger: A spice that can aid the digestive process, but is unlikely to help dieters to shed their excess pounds. Scutellaria Root: An ingredient taken from a species of fungus. Scutellaria Root is occasionally added to weight loss supplements, but the reason behind this is unclear because it has no value in this regard. Jujube: A popular Chinese herb that is traditionally used as a treatment for digestive problems, but will offer little of value to a blend such as this. Tibetan Ginseng: A powerful adaptogenic herb that can improve mental and physical health, but is unlikely to support weight loss. Cocoa Nut: Some studies suggest cocoa may assist weight loss, but further research is needed. Schisandra: A fruit derivative that is believed to have anti-aging abilities, and offers numerous other benefits, but is unlikely to help anyone to get slim. Two capsules are required before meals. No other information is provided. 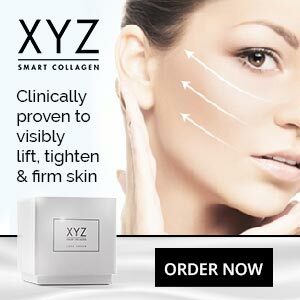 The manufacturer does not mention any side effects, but some customers do. We suggests all potential users seek a doctor’s advice before using this product. The best place to buy Akavar 2050 is from the official website. Each bottle contains 72 capsules and costs $39.99 (£30). Customers who buy two bottles get an extra one free of charge. Dynakor provides a 30-day money back guarantee. If Akavar 20/50 has any value as an appetite suppressant it will be largely due to the presence of so many sources of caffeine, but the presence of so much caffeine will make the blend unsuitable for many people and may explain why some past customers report a racing heartbeat and feelings of nausea. However, caffeine is a proven fat burner and, bearing in mind the presence of green tea, Akavar 2050 is likely to have more to offers as a fat burning diet pill, so it is unclear why Dynakor have chosen to market it as an appetite suppressant.